Wooroonoran National Park is a sprawling 800 square kilometre (309 square mile) patch of paradise to the south of Cairns in North Queensland, Australia. It is a stunning place encompassing rivers, waterfalls, swimming holes, walking tacks, camping, a romantic couples retreat, mountain bike trails, mountain peaks, lush valleys, majestic trees and unique wildlife. Here are its key attractions on a map. Scroll on for the list and photos. 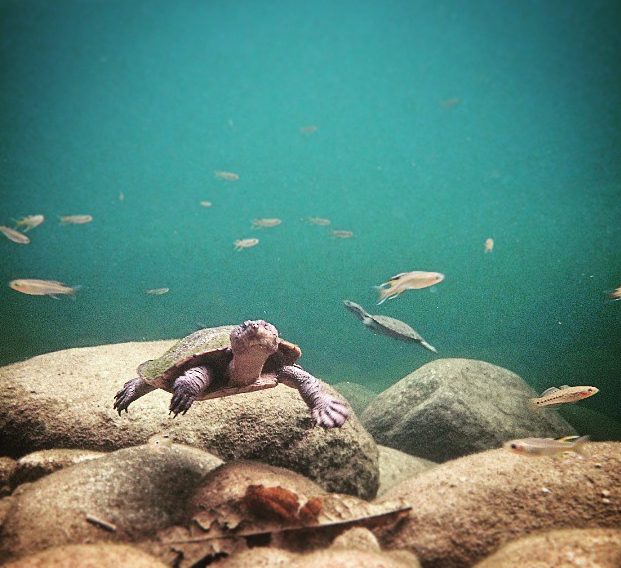 Wooroonooran National Park has five stunning swimming holes – Babinda Boulders, Josephine Falls, Behana Gorge, Goldsborough Valley, and Nandroya Falls. 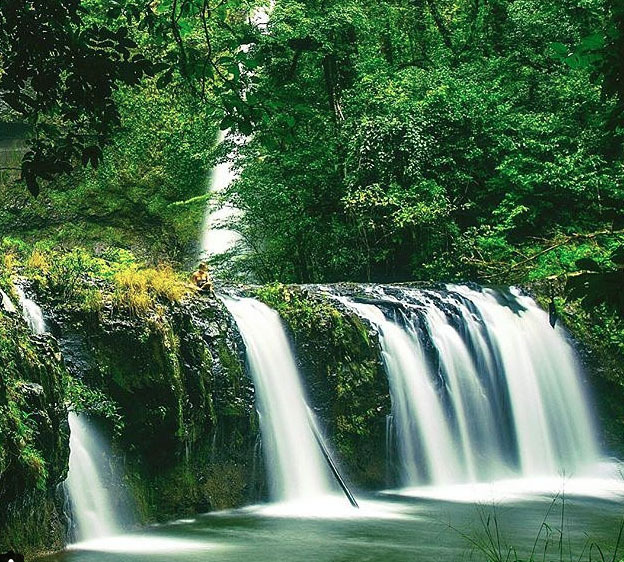 There are cascading waterfalls at Babinda Boulders, Josephine Falls, and Behana Gorge. To the south end of Wooroonooran National Park, near Palmerston, is Nandroya Falls, Wallicher Falls and Tchupala Falls which are all within walking distance of one another. There are plenty of short and half day walking tails in Wooroonoran National Park. 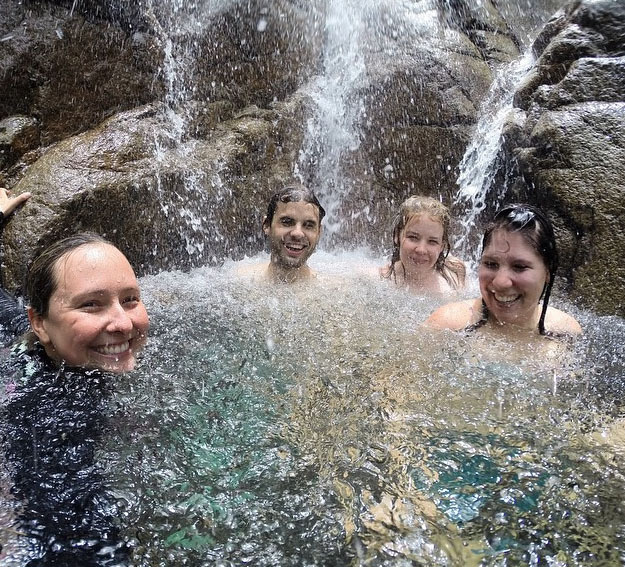 Babinda Boulders, Josephine Falls, Behana Gorge and Nadroya Falls walking tracks all reward you with cascading waterfalls and superb swimming holes. Wallicher Falls and Tchupala Falls track is an easy stroll to waterfalls. 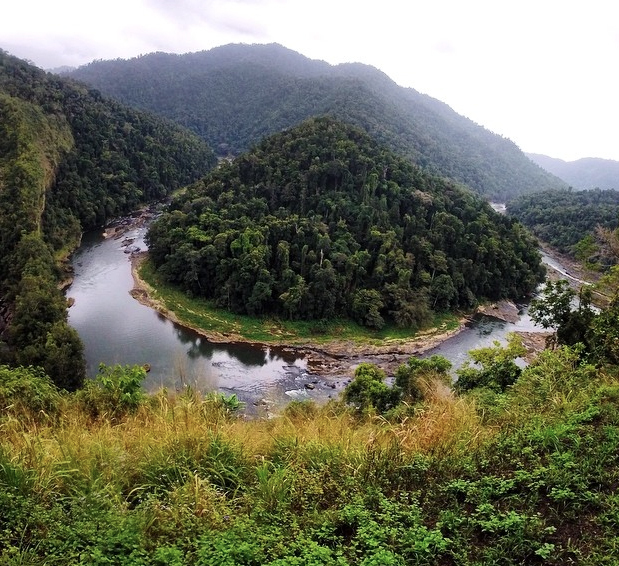 The Johnston River lookout walk gives you stunning views. Walsh’s Pyramid is a half day summit climb close to Cairns. Parking is in what appears to be a sugar cane farm. The trail scales the worlds largest natural pyramid and rewards you with breathtaking views. 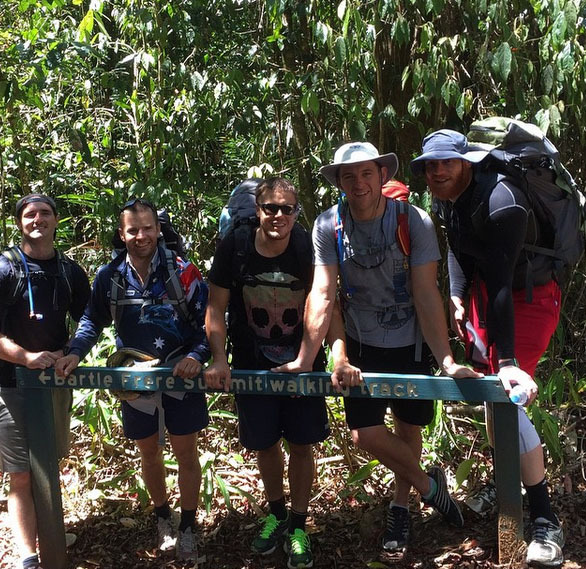 The Mount Bartle Frere Trail scales Queensland’s tallest mountain and is a challenging 1 – 2 day hike depending upon your fitness level and start time. The Goldfield Trail and Mount Bartle Frere Trail are both 1 – 2 day hikes depending upon your fitness level and start time. 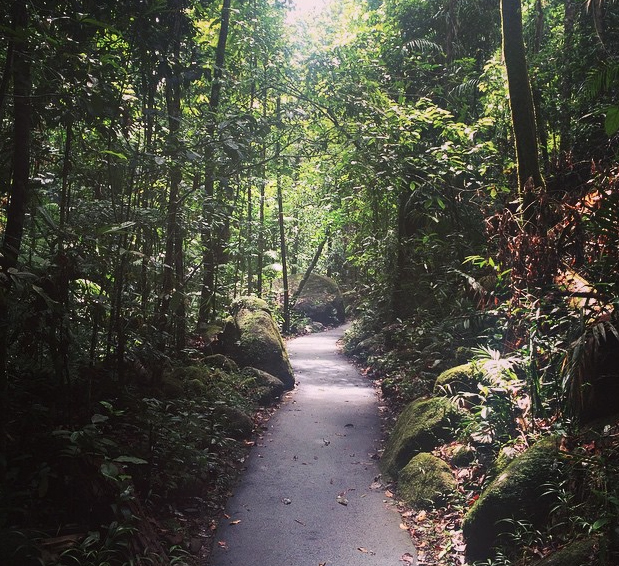 The Goldfields Trail connects Goldsborough Valley campground to Babinda Boulders (which has free camping). For those who want to do it in two days (official recommendation) there is a free camping area half way along the trail by the river, but there are no facillities. Some people manage to get to the Mt. Bartle Frere summit and back in 8 hours leaving from Josephine Falls. At 1622 meters (5,321 feet), Mount Bartle Frere is Queensland’s highest mountain. If you want to do the whole trail from one end to the other, four camping areas have been established along the trail but they have no facilities. Aussie Bushwalking has a good description of the trail. 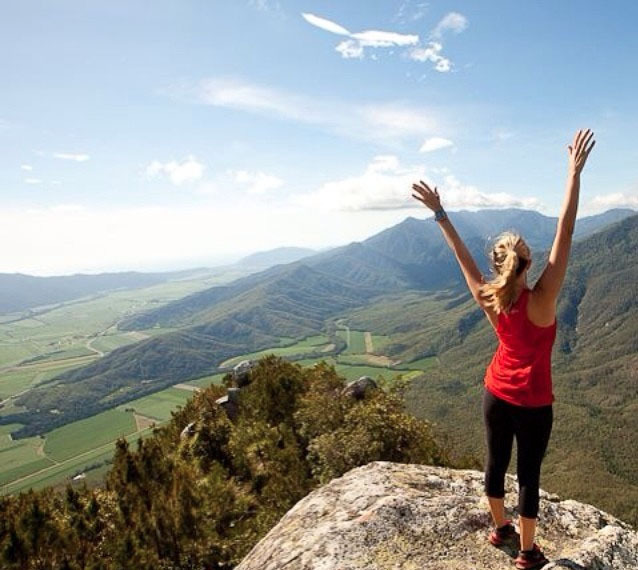 You’ll enjoy stunning views from Walsh’s Pyramid at the north end of Wooroonoran National Park. At the south end of the park, Johnston River Lookout walk and the Mamu Tropical Skywalk both have incredible views. 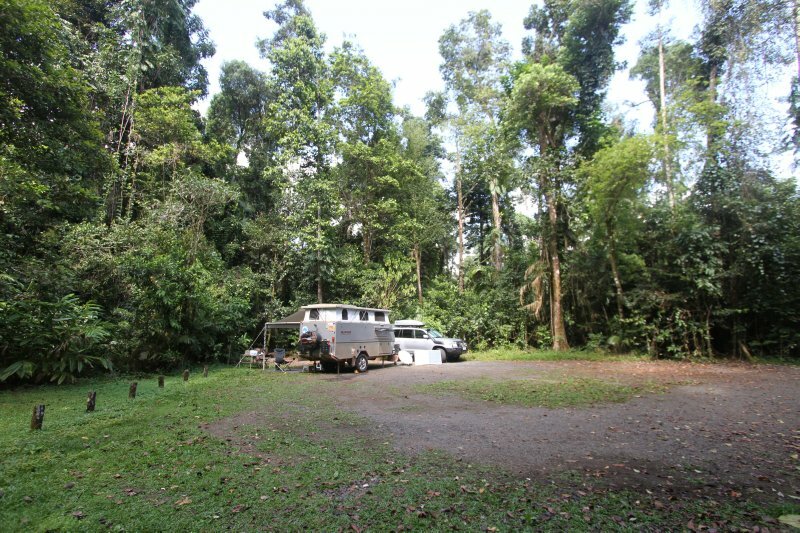 Babinda Boulders has two free campgrounds that are camper van friendly. Goldsborough Valley Campground and Henrietta Creek Campground are both on the river bank. Camping here is $6 per person. If you need to hire a camper van for your visit to North Queensland and beyond, consider Camperman Australia. They have a depot in nearby Cairns as well as seven other major destinations across Australia in which you can drop off your campervan. If you’re trip to Wooroonooran National Park is a romantic one – a honeymoon perhaps, or a wedding anniversary – consider indulging yourselves at the Misty Mountains Rainforest Retreat. When you make a reservation here you get the whole place to yourselves – that includes the pool pictured, a bar and games room, the luxury rainforest villa, and a magical Eden-like garden full of birds and wildlife. In fact, the place is so private you get your money back if you see another soul. You can be like Adam and Eve and go clothes-free! Starting at $125 per night is the Eco-Lodge, a hillside studio surrounded my rainforest with views. It’s great for secluded romantic weekends, or a writer’s retreat. The Hideaway is a one bedroom bungalow with gorgeous furnishings by a rainforest stream where platypus swim. Animal lovers, get excited! The Wooroonooran National Park has an abundance of wildlife, and they are a fascinating population indeed. 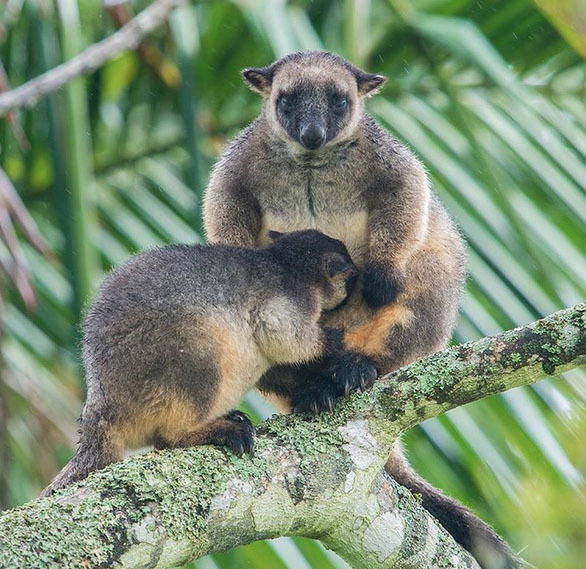 Consider the Lumholtz Tree Kangaroo. They exist only in this part of the world and they are, as their namesake implies, kangaroos that live in trees. The Wet Tropics, of which Wooroonooran National Park is a part, contains one third of all Australia’s mammal species, some that are found nowhere else on earth. Quolls, possums, platypus, wombats and all sorts of marsupials live in the lush rainforest. Of all the species in Australia, the Wet Tropics contains 40% of the bird species, 60% of the butterfly species, 20% of the reptile species, 29% of the frog species, and 30% of Australia’s orchid species. If you love mountain biking, you’ll love the north end of the Goldfield Trail near the Goldsborough Valley Campground. The lush forest gives you much needed shade as you cycle the challenging tracks and the river is never far away should you wish to cool off. 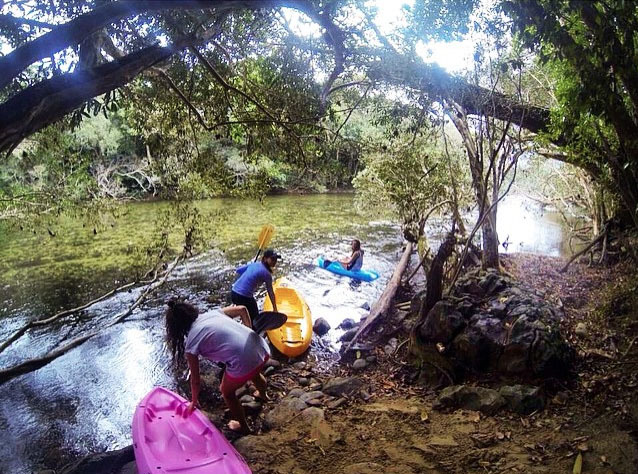 What better way to enjoy the beauty of Wooroonooran National Park than to paddle quietly down its waterways beneath the majestic trees of this ancient forest. 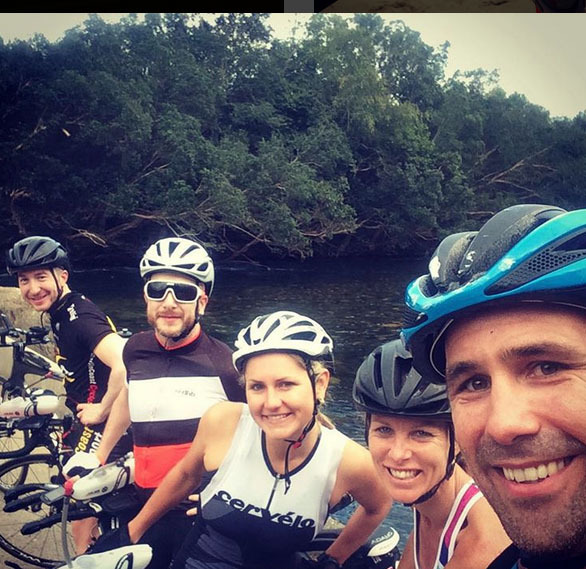 If you need to hire a kayak, try Babinda Kayak HIre. They don’t have a website but you can find reviews and their contact details on their Trip Advisor page. 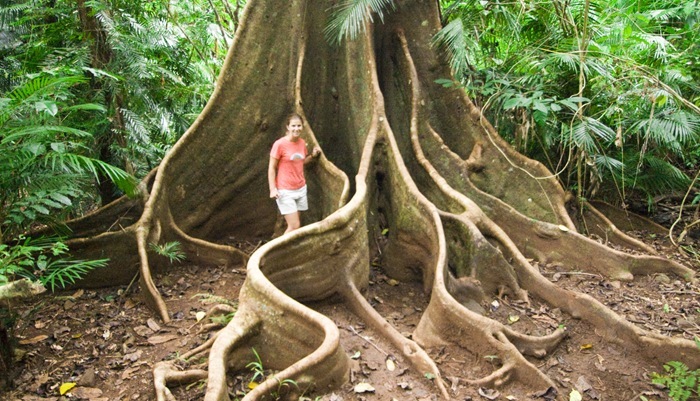 A good way to explore Wooroonooran National Park and the Atherton Tablelands is by campervan. There are cheap and free places to stay along the way, as well as beautiful caravan parks with full facilities. You can hire a campervan in Cairns. If you find anything on my blog that needs updating, please drop me a comment. I appreciate it!